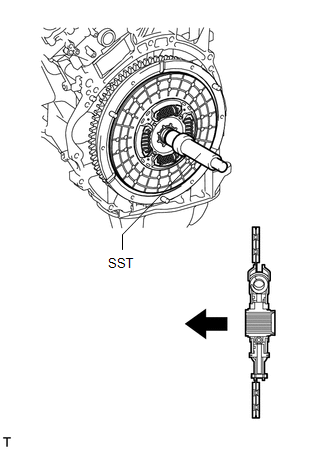 (a) Insert SST into the clutch disc assembly, and then install SST and the clutch disc assembly together to the flywheel sub-assembly. 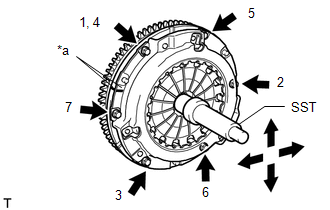 Be sure to install the clutch disc assembly so that it is facing in the correct direction. (a) Align the matchmarks on the clutch cover assembly with the one on the flywheel sub-assembly. (b) Following the order shown in the illustration, tighten the 6 bolts, starting with the bolt located near the knock pin at the top. Following the order in the illustration, tighten the bolts evenly one at a time. 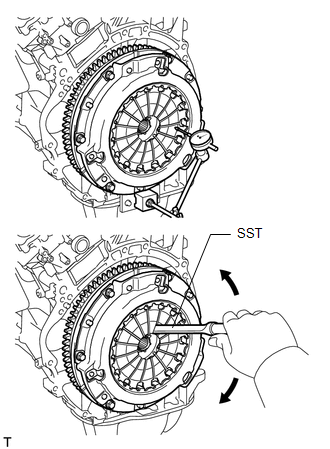 Move SST up and down, and right and left lightly after checking that the clutch disc assembly is in the center, and then tighten the bolts. (a) Using a dial indicator with a roller instrument, check the diaphragm spring tip alignment. If the alignment is more than the maximum, use SST to adjust the diaphragm spring tip alignment. (a) Install the clutch release fork dust seal to the clutch release fork sub-assembly. (b) Install the clutch release fork collar to the clutch release fork sub-assembly. 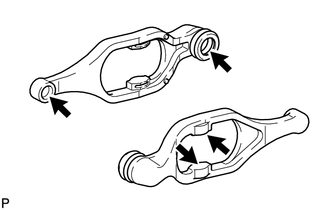 (c) Apply release hub grease to the clutch release fork sub-assembly, clutch release bearing assembly, push rod contact point and pivot points shown in the illustration. (d) Apply clutch spline grease to the input shaft spline. 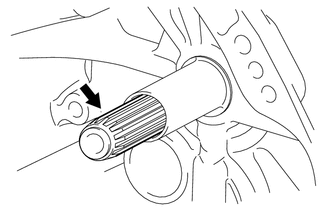 (e) Install the clutch release bearing assembly to the clutch release fork sub-assembly with the clip. (f) Install the release fork support to the manual transmission assembly. (g) Install the clutch release fork sub-assembly with the clutch release bearing assembly to the manual transmission assembly. After installation, move the clutch release fork sub-assembly back and forth to check that the clutch release bearing assembly slides smoothly.